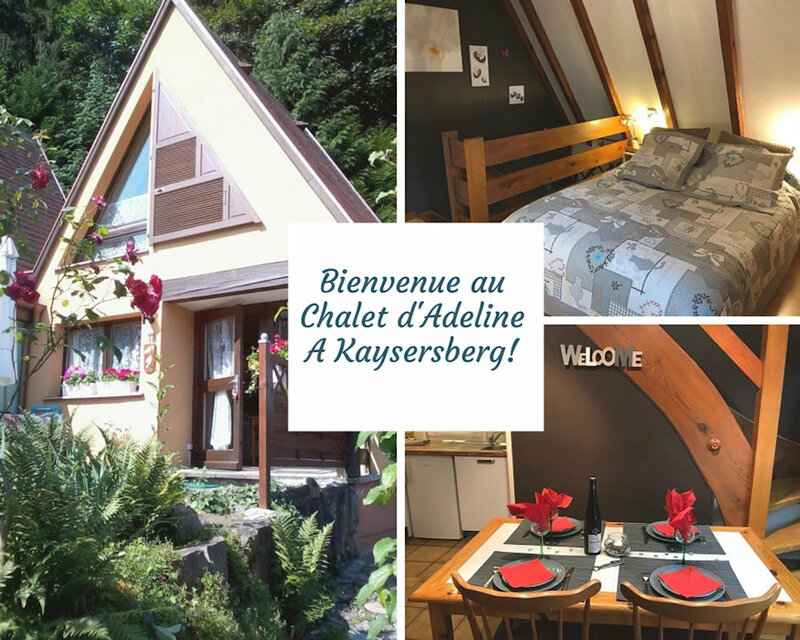 Welcome to Adeline's Chalet in Kaysersberg! 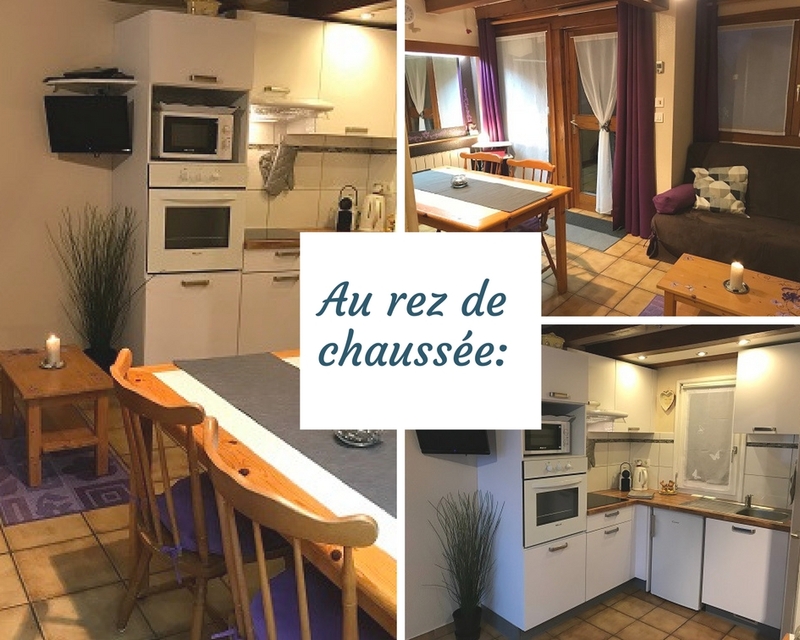 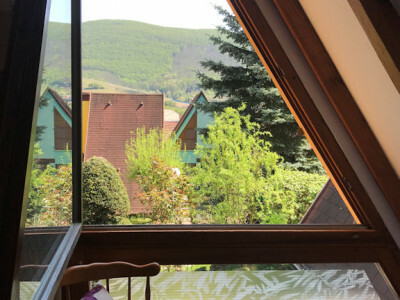 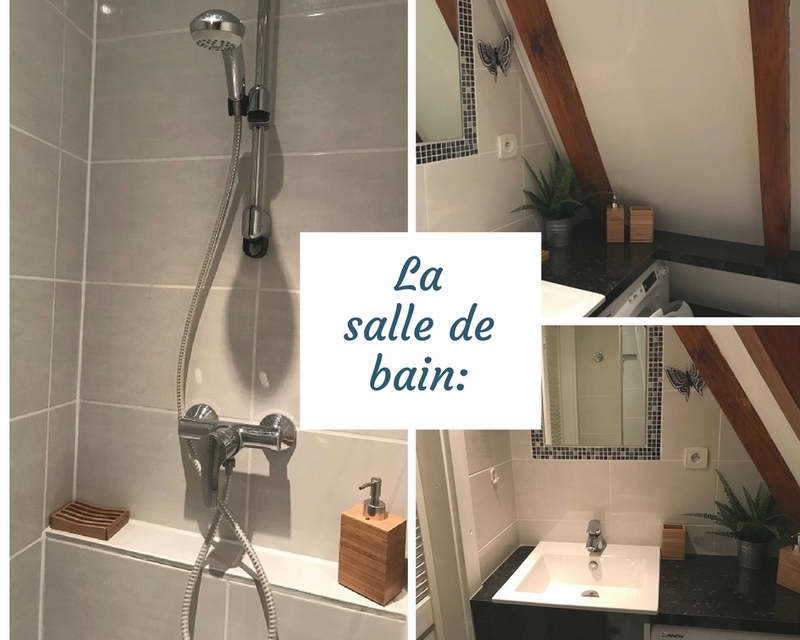 You want to escape quietly, as a couple or family, and visit one of the most charming cities of Alsace, illuminated milestone on the "Route des Vins", with its cobbled streets and half-timbered houses? 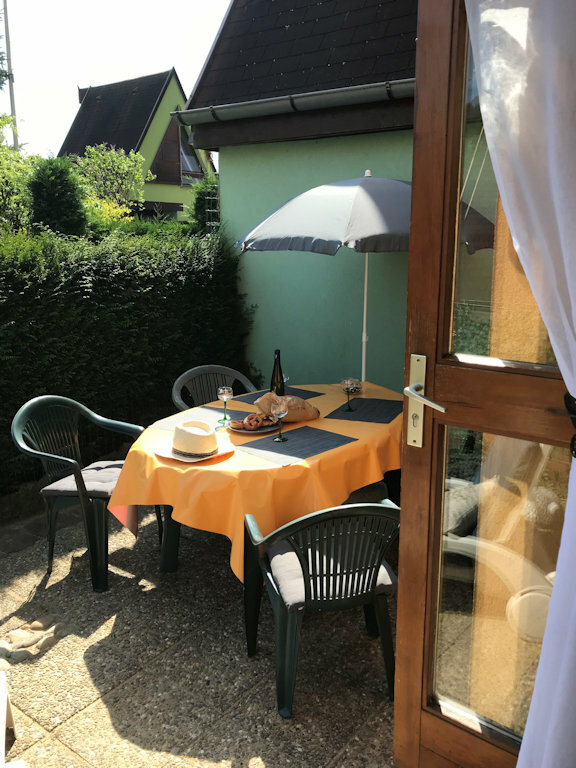 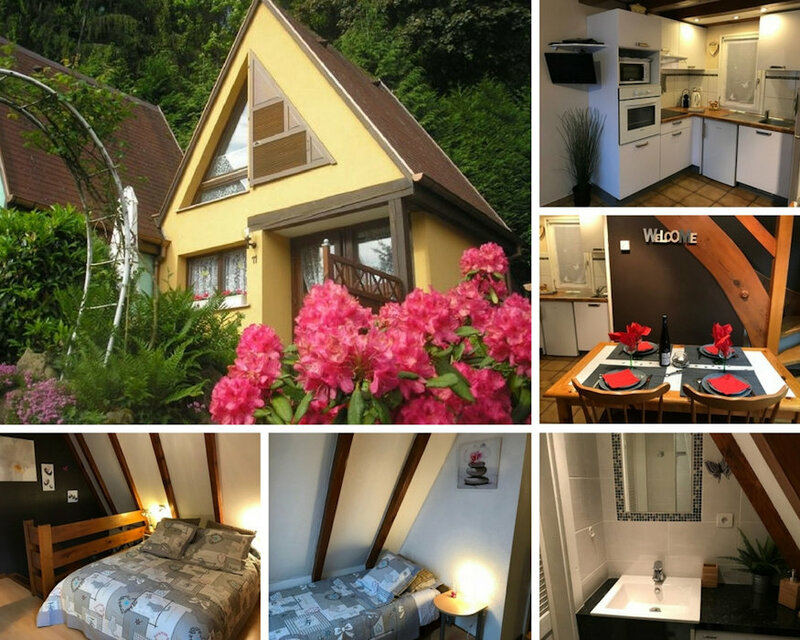 Then discover our cottage on the edge of the forest, in the heart of a small flower park, in the birthplace of Dr. Schweitzer (10 minutes walk from downtown Kaysersberg). 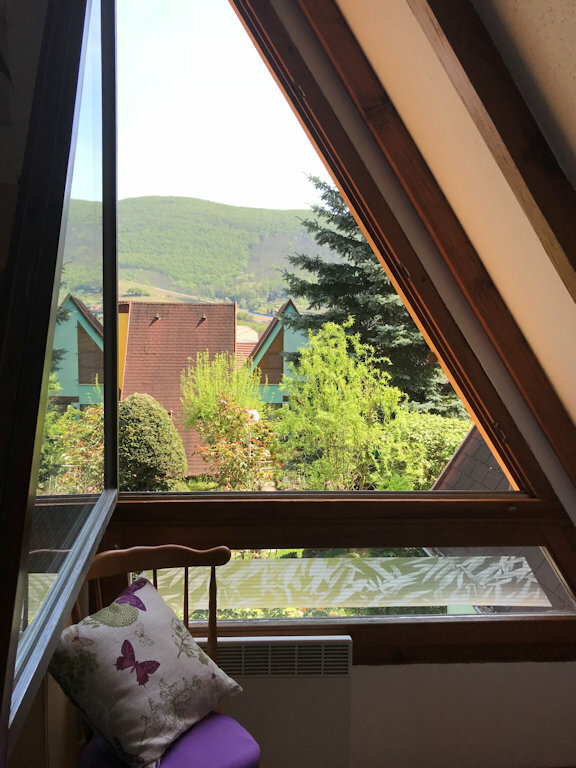 Upstairs: you will be waiting for a mezzanine bedroom with a double bed and a single bed, as well as a bathroom with walk-in shower, washing machine and hairdryer. 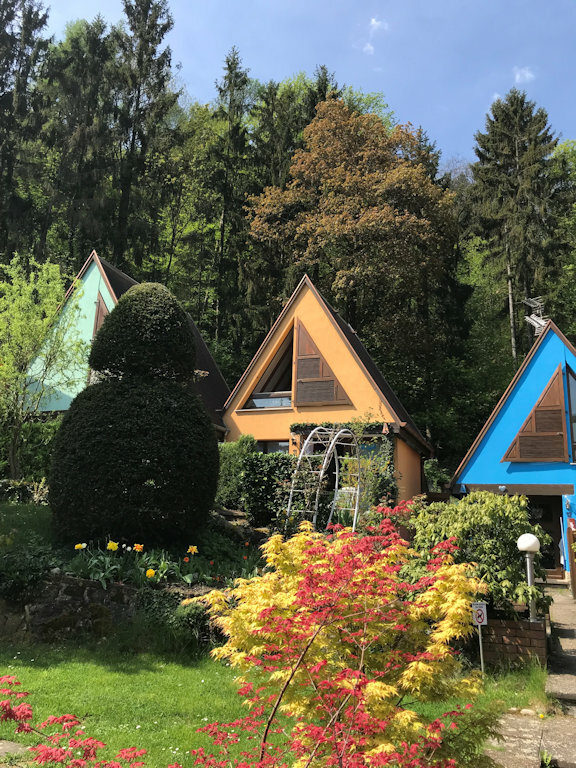 You can contact me directly for more information or type Chalet Adeline Kaysersberg on the search engines. 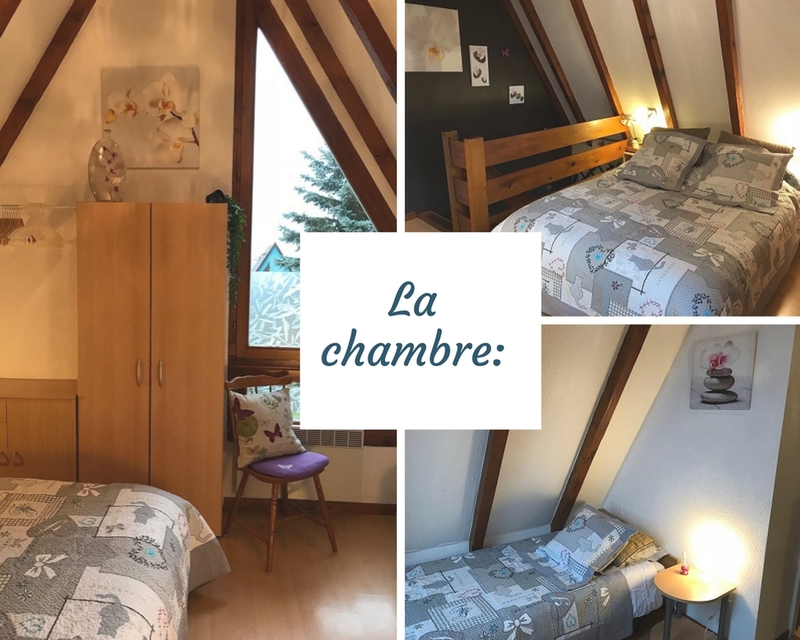 Option location draps et linge de toilette : 10 € / pers.